A lot of people in Atlanta took umbrage at Dan Shaughnessy’s column in the Boston Globe about how disappointed the New England Patriots must be in having to play the Falcons in the Super Bowl. He didn’t really say anything bad about the Falcons or Atlantans, oddly enough. The gist of his argument is that Atlantans aren’t die-hard professional sports fans (and thus aren’t worthy of a spot in the NFL’s big game), but are instead crazy about college football. Don’t get me wrong, I love and support all of Atlanta’s professional sports team, and have all of my life, as numerous of these tedious blog posts will attest. 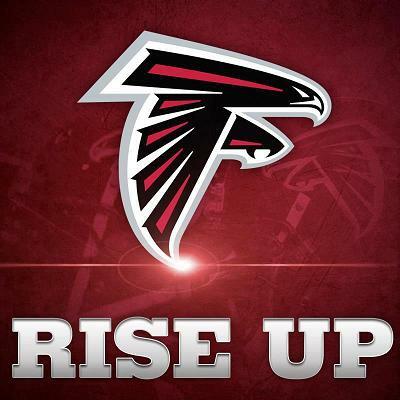 I stand second to none in my fanaticism for the Braves, Falcons, and Hawks. Heck, I even loved the long-defunct Atlanta Flames and still support them in Calgary. I know that they currently own the 8th and last playoff spot in the NHL’s Western Conference right at this red-hot second. Find three other people south of the Mason-Dixon line who care about that, I dare you. But yes, college football is king here. And news flash: we aren’t alone. The Northeast is the only place where the love of pro football wins out over the college game because, with the exception of Boston College (for whom our beloved Matty Ice played), there is no college football north of Philadelphia worthy of the name. Rutgers doesn’t count, despite playing—if you can call Rutger’s performance last year “playing”—in the Big Ten. Combine that with the fact that the Patriots are really, really good—as are the other Boston teams usually—and it’s understandable why professional sports fans there are legion. Our fanaticism here is not because of the dearth of professional championships in Atlanta sports. It’s because college football is more exciting and more fun to watch, in my humble and uninformed opinion. The rivalries are much more intense, and the game-day atmosphere at big-time college football games is unmatched in any other sport. Any. Shaughnessy referenced lack of excitement in Atlanta last April about a Celtics-Hawks playoff matchup (which the Hawks won, by the way). Is he kidding? Seriously? The NBA? For game-day excitement, try the Big House in Ann Arbor when Michigan plays Ohio State (ask Michigan alum Tom Brady about it). Or the Horseshoe in Columbus when it’s played there. Or in Oklahoma during Bedlam. Utah during the Holy War or Oregon’s Civil War. Also try finding cool names like these for NFL rivalries. You won’t. The NFL has nothing—nothing—to compare to the Iron Bowl. Or the World’s Largest Outdoor Cocktail Party. Notre Dame vs. Southern Cal. Texas and Texas A&M (though temporarily suspended). Catholics vs. Convicts. I’m not saying there aren’t great rivalries in the NFL—the Redskins and Cowboys, Patriots and Jets, and Packers and Bears all come to mind. Heck, the Falcons and Saints don’t like each other. And the best rivalries in baseball are the Yankees and Red Sox and Cubbies vs. Cards. But it’s not the same as the blood feuds in college football, where many of these rivalries go back 130 years. The NFL has been around since the 1920s, but most franchises—including the Patriots—barely predate the 1960s. And rivalries are divisional (Cowboys-Redskins) not geographical, like Florida and Florida State, and don’t have nearly the emotional intensity of a life and death college football grudge match. Boston’s a great sports town, make no mistake, and I can understand how the mighty Patriots might have wanted to play a different team, with a greater championship legacy. It’s like Montreal playing Phoenix in the Stanley Cup—hockey in Arizona? But here’s a fact: when the Patriots won their first Super Bowl in 2002, they had played previously in two Super Bowls (1986 & 1997), exactly one more than the Falcons (1998) at that time. And they had lost both of those games, to the more storied NFL franchises, the Bears and the Packers. Yes, they’ve won four since, but we all have to start somewhere, including the Patriots. Pittsburgh had won 4 Super Bowl titles before the Patriots ever even appeared in the big game for the first time in 1986. In sports as in life, all glory is fleeting. One should be wary of acting too smug about how supreme your team is over time. The Dallas Cowboys have wandered in the playoff and championship wilderness for 20 years now after Troy Aikman and Emmitt Smith retired, and perhaps that fate awaits the Pats once Brady and Belichick are gone—which they will be one day. Brady is a once-in-a-lifetime QB, and Belichick a once-in-a century coach. Their impact on that team is not unlike Michael Jordan’s and Coach Phil Jackson’s for the Chicago Bulls in the NBA. How many titles have the Bulls won without them? Zero. Like Cowboys fans now, one can easily imagine a time in the not-so-distant future when Pats fans might be thrilled to play in the Super Bowl again after a long, long dry spell that nobody ever foresees when the champagne is flowing. They might one day even be thrilled to be playing against the Atlanta Falcons. This entry was posted in Culture, People, Places, Public History, Sports, Uncategorized on January 27, 2017 by Stan Deaton.